Can Ab Exercises Actually Help Burn Belly Fat? Sporting a lean, defined midsection has become one of the major status symbols of being fit and healthy. For this reason, the internet is chock-full of information on just how to achieve that desired “Six-pack” that so many of us are desperately seeking. 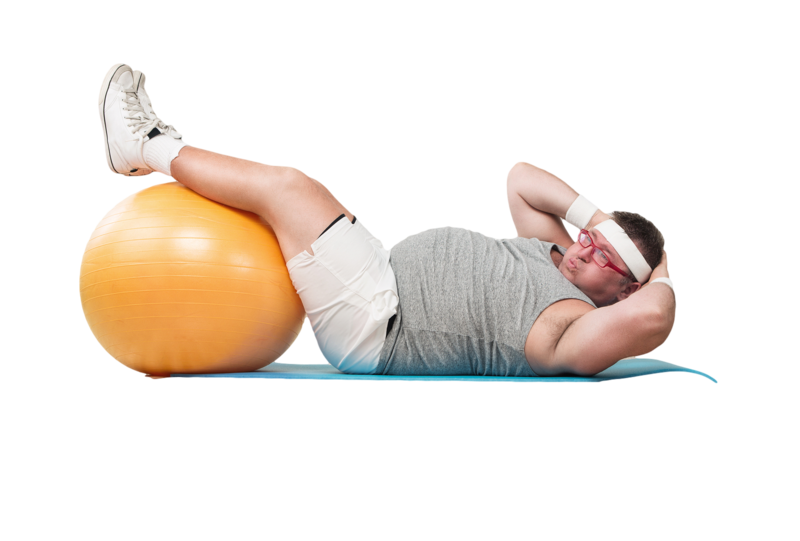 And while many of the recommendations use various exercises, machines or devices that strictly target the abdominal region, to “supposedly” stimulate your abs and burn belly fat, do they really work as promised? Our abdominal regions job is to stabilize our core. These muscles also assist in our breathing, allow movement and mobility, protect our internal organs and together with the back muscles, provide postural support and balance. But, just as many of us lump all dietary fats into the same category, we seem to do the same with belly fat as well. However, what many don’t realize is, not all belly fat is created equal and there are actually two types — Subcutaneous and Visceral. Subcutaneous fat is the type of fat that is located directly under the skin making us look big and fluffy. This type of fat you can actually pinch and measure with an apparatus called a “body fat caliper” seeing how it sits between your skin and muscle. When present in even modest amounts, subcutaneous fat (the fat directly under the skin) will prevent you from seeing your abdominal muscles. In order to have defined abs or a “six pack” you simply need to get rid of this subcutaneous fat from your abdominal area. So, what many of us do, because it seems logical, not to mention we’re mass marketed on this idea, is we do multiple exercises that specifically target our abs, in the hopes of getting rid of our belly fat. 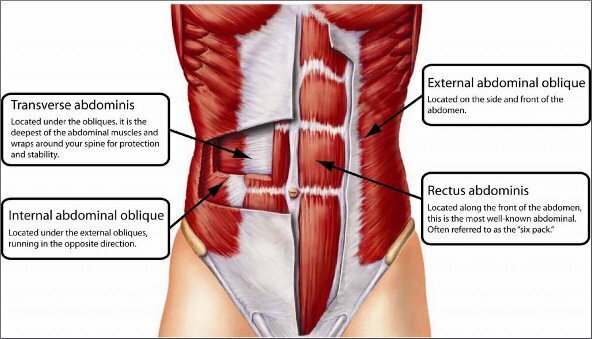 However, while it’s undisputable that exercising your abdominal muscles will strengthen your mid-section the evidence clearly points out that targeted ab exercises for the sole purpose of burning belly fat is highly ineffective. Therefore, doing multiple sets of crunches, side bends, sit-up or twist will not burn away your unwanted belly fat and make your abs visible. Equally, this false idea doesn’t only apply to the abdominal area, but to all areas of your body. In fact, in a study done with 104 subjects (45 men, 59 women) to examine the effect of exercise-induced localized fat loss, they compared subcutaneous fat measurements before and after a supervised, upper-body targeted, resistance training program. One reason why targeted fat loss is such a misunderstood concept is due to the actual physiology behind it. Although muscle is the physical location where calories and fat are burned for energy, muscle cells cannot use the fat contained in fat cells directly. Body fat must first be broken down before it can enter the bloodstream. And because fat is accumulated in layers throughout the entire body, it is also reduced in layers, thereby, burned from all areas of the body, and not just from the body part being exercised. The evidence clearly points out that targeted exercise is highly ineffective for even modestly reducing fat in a specifically targeted area of the body. Well nothing could be closer to the truth, as good nutrition is the vital component if you want to lose belly fat and sport that “six-pack” you’ve been working so hard on. Instead, focus on consuming higher amounts of good quality, minimally processed protein sources. High-protein diets have been linked to greater feelings of fullness that may translate to lower calorie intake. When you consume more “real” whole foods, fiber, and protein you are more likely to consume less food automatically without feeling hungry or deprived which will crucially impact weight loss and belly fat. The absolutely best way to reduce total body fat and get your mid-section to sport that six-pack you so desperately want is by combining resistance training and cardio in addition to eating a healthy diet filled with plenty of high quality protein and soluble fiber — all of which are proven to help reduce over-all total body fat. These methods will help you burn more calories, speed up your metabolism and make you lose body fat. This will ultimately cause belly fat loss and give you that flat, lean mid-section you so desperately desire. Exercise – Is It Really An Effective Weight Loss Method?